At our Mississauga cosmetic dental practice, our dentists are committed to helping patients achieve their ideal smile. Through our cosmetic procedures, patients can improve their oral health as well as the look of their smile. 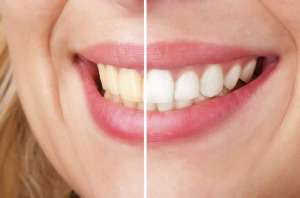 Teeth Whitening: At Meadowvale Dental Centre, we know that a white smile can quickly transform your appearance. We offer both in-office and take-home teeth whitening through Iveri® whitening systems. With noticeable brightening in just 15 minutes, this bleaching procedure is safe, effective, and gentle for even sensitive patients. To ensure lasting results, we provide patients with touch-up whitening kits to use at home. By utilizing a custom fit tray for whitening gel application, patients can improve their smile from the comfort of their home. Composite Fillings: For patients with tooth decay or damage, composite fillings can be used to protect vulnerable areas of the tooth from further problems, while restoring the healthy appearance of teeth. Veneers: Made of thin layers of porcelain, veneers are ideal for patients looking to cover flaws on individual teeth. Veneers cover the fronts of teeth to improve the appearance of teeth that have been worn or chipped. Veneers are made to match the shade and shape of the surrounding teeth, so patients receive a uniform, vibrant smiles. Crowns: As one of the custom cosmetic procedures offered at our Mississauga practice, porcelain crowns are among the most effective treatments for decayed and severely damaged teeth. Crowns can be used to cover weakened teeth or can be incorporated in dental implant treatment to replace extracted teeth. Similar to veneers, crowns are lab manufactured to look and feel just like natural teeth, ensuring that patients receive seamless smiles. Our Mississauga dentists are committed to helping each patient uncover the natural beauty of their smile through cosmetic dentistry. For more information about the different cosmetic procedures offered at Meadowvale Dental Centre, contact us today to schedule your consultation.